Ghana’s Majid Waris scored his second league goal for Nantes as they beat Montpellier 2-0 at the Stade de la Beaujoire on Wednesday night. 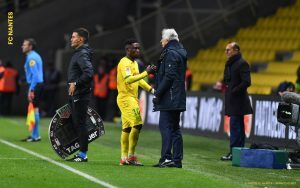 Waris, who was making his 17th appearance for Nantes, started in attack with Argentine, Emiliano Sala, but the two failed to find the net in a goalless first half. 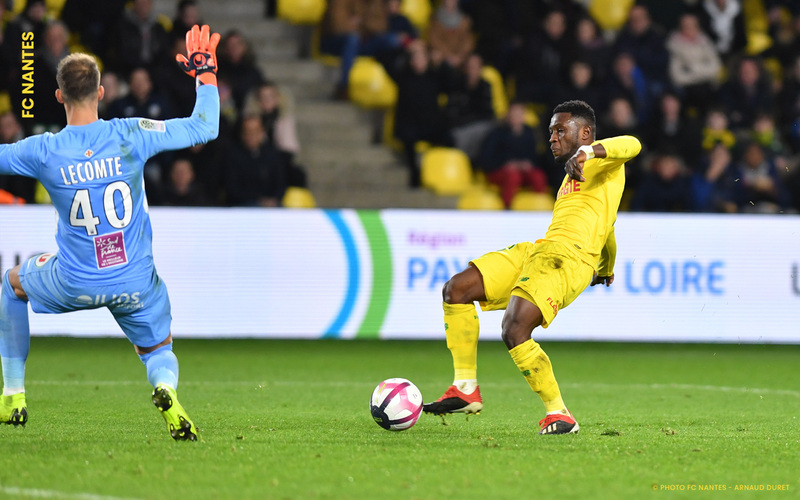 However, in the 62nd minute, Nantes found the breakthrough the Ghanaian forward. Midfielder Valentin Rongier’s diagonal pass found Waris and he finished past Montpellier goalie, Benjamin Lecomte. That was the opening for Nantes and 19 minutes later, Nicolas Pallois, headed home the second for Nantes. Waris was subbed in the 90th minute by Samuel Moutossamy to the admiration of the fans and Nantes head coach, Valid Halihodzic. The result pushed Nantes to 11th on 23 points.